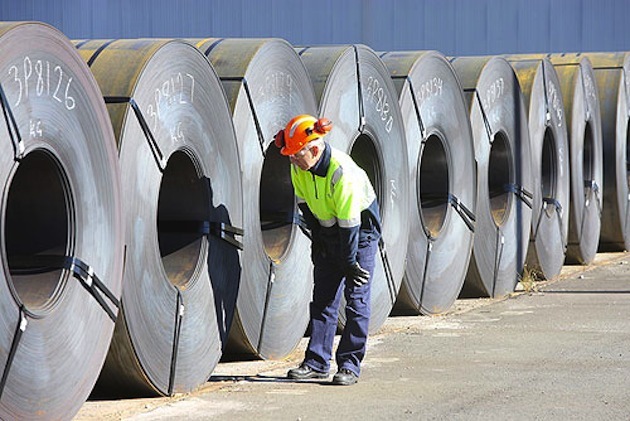 Home Company Buzz Steel Prices on the Rise: How is this Good News for You? Steel Prices are on the rise (AGAIN) which means our suppliers are forced to increase their product prices. The increases start from the ground (ore prices) and work their way up the chain impacting everyone one way or another. There have been reports about the Iron Ore market instability since November 2017 and it is expected to continue through 2018 which has sparked the costs of suppliers. What does this mean for Cheap Sheds? The team at Cheap Sheds always continues to do our best offer the lowest possible prices, without compromising on our service. Our suppliers have been great at keeping the prices increase at bay until now, whereas others increased prices at the start of March. However, it can’t be avoided any longer and prices on some of our ranges will be increased on the 16th of April! Don’t fret as we are not expecting a huge increase, we are told it is a 5% increase. Not all ranges & products will be impacted just yet! First to roll out will be the EasySheds Range on the 16th of April. What does it mean for YOU! Yes, prices will increase soon and we can’t stop it. Well, if you are thinking of buying a shed, NOW is really the best time to secure a low price on the shed you really want. We have put a lot of specials on this month so that anyone looking can get in quick with a deal before having to pay more! We also have payment options to help secure the prices and pay it off. We suggest you check out our awesome deals this month and spread the word before we are forced to make the change.